Your man proposes. You say, “Yes!” Amid the excitement of a new engagement, you’re picturing that perfect wedding you’ve probably been planning in your head (and maybe a scrapbook or Pinterest page) for years, and you already know that a ceremony at the local church just isn’t for you. You may prefer to stay within the U.S. and go to Hawaii or Florida; you may want to wed in front of the Eiffel tower or on a sandy beach in Mexico. The point is simple – you don’t want to stay at home. You want a destination wedding. Here’s the truth: It’s worth it, but it’ll require at least twice as much planning as that local ceremony. But don’t stress out! As you start making to-do lists, keep in mind the major things to consider when planning your destination wedding. And follow these tips so you don’t miss anything. This is the first thing to do before deciding on a destination, working the guest list, or even setting a date. Will parents be contributing to the cost of the wedding? How much cash on hand do you and your significant other wish to spend? Is this something you are willing to go into debt for, and if so, how much? Knowing the limits of your budget will make everything else in the planning and execution of your wedding much easier. Now that you’ve decided on a budget, you’re going to have to decide where you want that budget to go. Do you have a specific destination in mind, or will you be happy with any location that has a warm beach and a luxury resort? What expenses will you cover for your guests? Are you dying to have that $6000 dress? Figure out what’s important to you and what’s negotiable. Do you really need that extra flower in the centerpieces or will that money be better spent with an extra hour for the open bar? If you are feeling even remotely overwhelmed by the wedding at this point, we don’t mean to stress you out, but it’s not going to get any easier. You need a coordinator to listen to your vision and make it happen. She’ll do all the research on destinations and estimate costs for you. Once you’ve picked a destination, consider hiring a second coordinator who resides in that location. That coordinator will be in constant communication with your local coordinator to make sure everything is taken care of exactly how you envisioned, and you won’t need to worry about making any extra trips to the destination in order to ensure this is happening. The earlier you send invitations to your preferred guests, the easier it will be to estimate expenses. If you are planning to cover all or part of the expenses of some guests, you’ll be able to budget this as you receive RSVPs. Consider the cost of travel, food, lodging, and any activities you want to provide. If possible, visit your destination prior to the wedding. Ideally, this trip would include your wedding coordinator and your significant other. This allows you to get a vision of what the wedding will look like, a chance to tour facilities, and a chance to meet and interview vendors. You don’t want to make more trips than needed, but you should probably lay eyes on your venue to make sure the pictures you’ve seen did it justice. 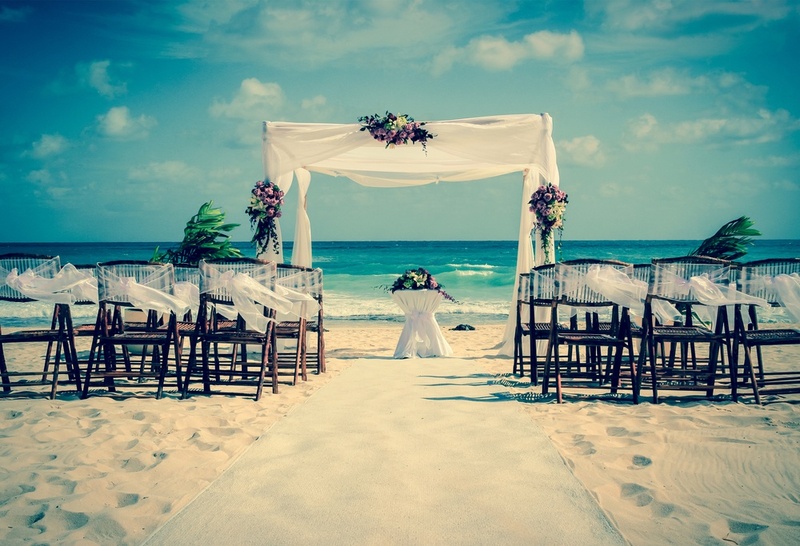 There are many smaller details that might be overlooked when planning a destination wedding. Help your guests by arranging transportation to and from the airport. The Knot suggests providing a “welcome kit” for guests in tropical locations, which could include bug spray, suntan lotion, and bottled water. If any of your guests have special needs, make special accommodations for them. If you’re having your wedding in another country, begin the passport application process immediately – and instruct your guests to do so as well. Give them information about how to acquire a passport so they can get it done right away. Waiting to start an application might require you to expedite the process, which can get expensive. But if you’re already planning a year out, starting the process right away will give you more than enough time to get your travel documents in order. Most wedding dresses are strapless now, which helps keep you somewhat comfortable if you’re getting married in a warm location. But consider a short wedding dress, or one with fewer layers of tulle. Breathable attire will keep you cool while you say your vows in the sun. Alternatively, if you’ve picked a cooler climate, you might want to reverse those options and go for a longer dress with more layers and covered shoulders. We hate to break it to you, but you’re going to forget something at home and kick yourself for it. Find the nearest place where you and your guests can buy any needed last-minute or forgotten supplies. 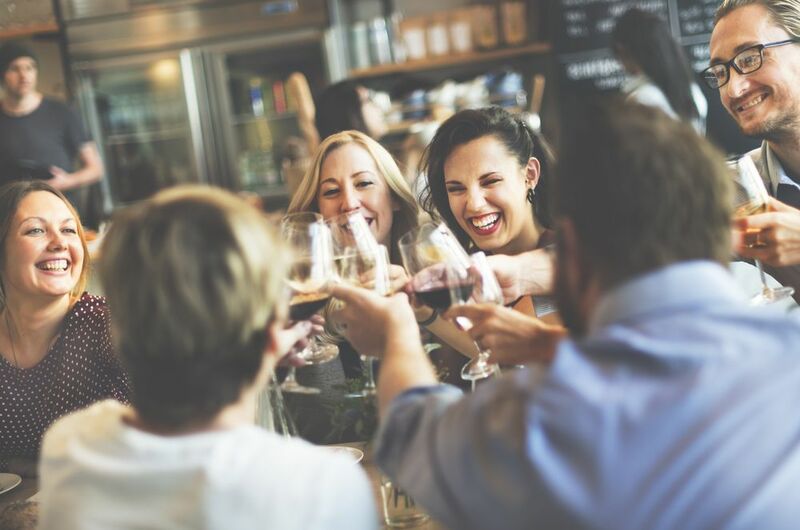 If you’re in a remote location, you may want to plan a group trip for you and your guests when you arrive to make sure you get everything you need before the wedding. Part of the fun of a destination wedding is the time you get to spend with your close friends and family: Visiting local attractions together, enjoying the beach, and having meals together. You should plan to cover the expenses for any group activities. With these tips, your destination wedding will be something attendees will talk about for years to come!